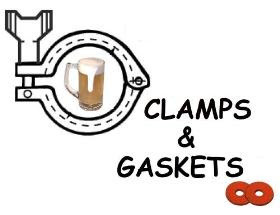 Clamps & Gaskets: News Roundup for Weeks 11/12, 2017. Twenty-seven European Union leaders renewed their vows at a special summit in Rome on Saturday, celebrating the bloc's 60th anniversary with a commitment to a common future, but without the United Kingdom, signing a new declaration on the Capitoline Hill, where, on 25 March 1957, the six founding states —Belgium, France, Italy, Luxembourg, The Netherlands, and West Germany— had signed the Treaty of Rome. ‘Repeal and replace ObamaCare' itself is defeated. House Republican leaders abruptly pull their rewrite of the nation’s health-care law because of insufficient votes for passage. Trump Winery in Virginia applying for work visas for non-American immigrants to work in its vineyards. —Via Associated Press (at Fox News. —Via Brand Finance (at Craft Brewing Business). British-born terrorist attack outside Westminster leaves 4 dead, including attacker and police officer. Georgia legislature passes bill to allow state breweries to sell their own beer in their own taprooms. The law takes effect 1 September 2017. Among all states and the District of Columbia, only Mississippi still forbids the practice. “We’re trying to make America great again,” said manager Jim Leyland, as Team USA won its first World Baseball Classic title, defeating Puerto Rico, 8-0, in front of 51,565 at Dodger Stadium. 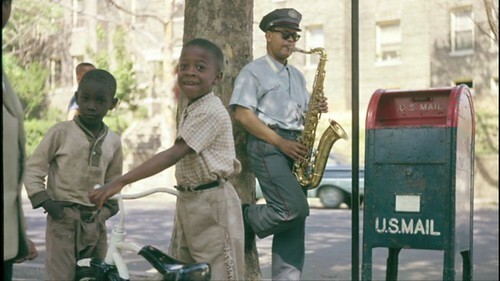 Buck Hill, a renowned saxophonist and mainstay of the Washington, D.C. jazz scene for more than 60 years and who was known as the “Wailing Mailman” for his day job with the U.S. Postal Service, has died March 20 at 90. Mr. Hill was a native Washingtonian who never left his hometown, despite having the talent and offers to make a bigger splash. He began performing in the 1940s, when the clubs and theaters along the District’s U Street corridor were known as the “Black Broadway.” ¶ Long considered Washington’s premier tenor saxophonist, Mr. Hill shared the stage with jazz royalty such as Dizzy Gillespie, Miles Davis, and Max Roach. Whenever saxophonist Sonny Stitt came to Washington, he sought out Mr. Hill for friendly “cutting sessions,” or tests of a musician’s improvisational skill. ¶ Mr. Hill was known for a round, robust tone on his primary instrument, tenor saxophone. (He occasionally played the clarinet and soprano saxophone.) He also composed many tunes, some of which appeared on the dozen or so albums he recorded from 1978 to 2006. Critics discovering him for the first time often considered him a hidden star. ¶ Mr. Hill often showed up for work at the post office at 4 a.m. to practice his saxophone before sorting and delivering the mail. He retired in 1998 after more than 40 years with the Postal Service. Columnist Jimmy Breslin, "bard of the New York streets," writer at the New York Herald Tribune, Daily News, and Newsday, dies at 88. A Pulitzer Prize winner whose muscular, unadorned prose pummeled the venal, deflated the pompous, and gave voice to ordinary city-dwellers for decades. Chuck Berry has died at 90. Chuck Berry, who with his indelible guitar licks, brash self-confidence and memorable songs about cars, girls and wild dance parties did as much as anyone to define rock ’n’ roll’s potential and attitude in its early years, died on Saturday at his home near Wentzville, Missouri. Nearly half of the two million farm-workers in the U.S. are 'illegal,' because Americans are reluctant to take jobs in the fields picking fruit and produce. But without these workers, America risks food rotting in fields and farmers on the margins going out of business. —Via Tamar Haspil (in the Washington Post. Dan Kopman —co-founder and past longtime CEO of Shlafly Beer/St. 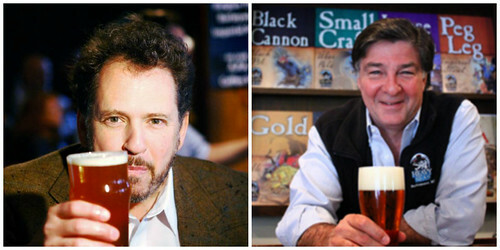 Louis Brewery— to join Heavy Seas Beer in Maryland as its CEO. Will report to Heavy Seas' managing partner and founder, Hugh Sisson. Mitch Stone —past Anheuser-Busch brewer, Stone Brewing brewmaster, and author of book IPA— announces name and plans of his future Atlanta, Georgia, brewery: New Realm Brewing. Combination production brewery, taproom, restaurant, beer garden, and rooftop patio to open overlooking Atlanta's Beltline park in 4th quarter of 2017. Hundreds of miles of the Great Barrier Reef —the world's largest coral reef system, located in the Coral Sea, off the coast of Queensland, Australia— its most pristine northern sector, are dead, killed by overheated seawater. More southerly sections around the middle of the reef are bleaching now, a potential precursor to another die-off that could rob some of the reef’s most visited areas of color and life. “We didn’t expect to see this level of destruction to the Great Barrier Reef for another 30 years,” said Terry P. Hughes, director of a government-funded center for coral reef studies at James Cook University in Australia. 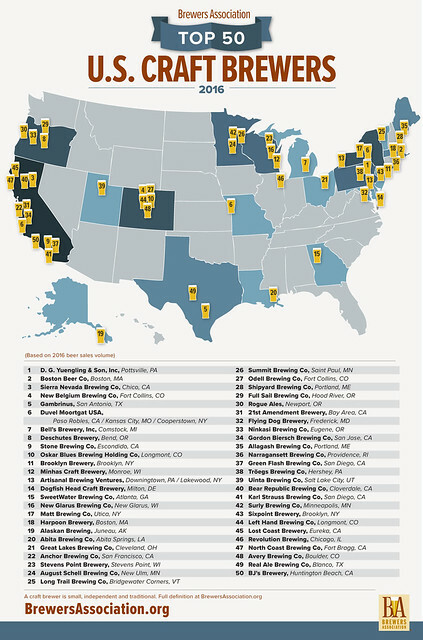 The Brewers Association has announced the top fifty 'craft' breweries in the U.S. for 2016 and the top fifty overall brewing companies, both ranked according to sales volume. That there are so many footnotes (23 in total, or almost half of the list) explaining exceptions or reasons for the specific entry, seems illustrative of a growing problem with the definition of what is a craft brewery. I certainly understand the need for a trade group to have a clearly defined set of criteria for membership, but I think the current one is getting increasingly outdated again, and it’s only been a few years since the contentious debate that resulted in the current BA one. But it may be time to revisit that again. —Commentary via Jay Brooks at Bookston Beer Bulletin. The Oxford Supremacy. A court in Maine rules in favor of overtime pay for dairy truck drivers because of the ambiguity of a statute missing an Oxford (serial) comma. Canary in the 'craft' beer mine? Echo of the late 1990s? San Francisco brewery Speakeasy closes. Speakeasy fits a pattern we saw--well, just about the time it opened in the late 1990s. That was during the first craft beer "shakeout," which wasn't a shakeout at all, but a flattening of growth that stranded breweries that had overleveraged themselves based on expected steep growth. Any time a brewery expands, whether that's from a nano scale to a seven-barrel system, or the leap that Speakeasy took, there's risk. It's hard to lose when the market is growing at 15%; breweries can exploit whatever level of market they plan on entering. But carrying millions in debt when sales flatten out can end a brewery. In the late 1990s, that's exactly what happened. Breweries made the jump to large facilities capable of producing a quarter million barrels just at the moment they flat-lined at sixty thousand. This led ultimately to high-profile failures or buyouts. [...] If this is a second plateau, it may last for years. If so, Speakeasy is just the first of many failures to come. Hunahpu’s Day® at Cigar City in Tampa, Florida. Too rich for my blood; too rich, I'd wager, for many Americans. Beer used to be the democratic (small 'd') drink (but a noble one) for the masses. Is 'craft'? In 2014, the United Nations Educational, Scientific and Cultural Organization (UNESCO) rejected a bid by the Deutscher Brauer-Bund (German Brewers Association) to have the Reinheitsgebot recognized as an Intangible Cultural Heritage of Humanity, as it would designate Belgian beer culture two years later in 2016. A German writer for the magazine Mixology writes that the bid should be taken from the German Brewers Association because it “puts the commercial interests of the large breweries it represents first, callously using the Reinheitsgebot myth as a seal of quality.” He recommends a new application focusing on Germany’s positive brewing heritage, rather than just the commercial interests of the modern industry. If you're calling it a "#beer garden," make it a garden or at least put in a few shrubberies (or hop bines). Otherwise, it's a beer patio.